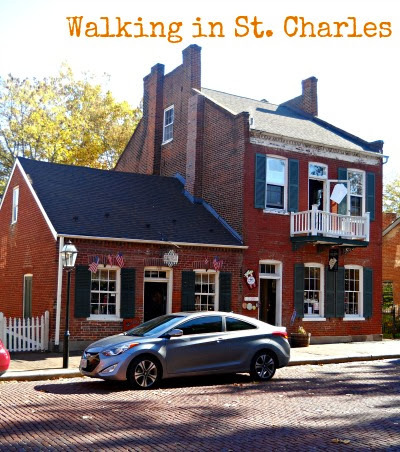 When you walk through historic St. Charles, Missouri, you will likely see a number of visitors taking pictures. You will see a range of cameras from iPhones to small digital cameras to more professional pieces. A quick glance around the town and you will see why so many are taking pictures. We happened to visit St. Charles on our way back to Chicago from New Orleans and I thought that I would share some pictures of this charming town. 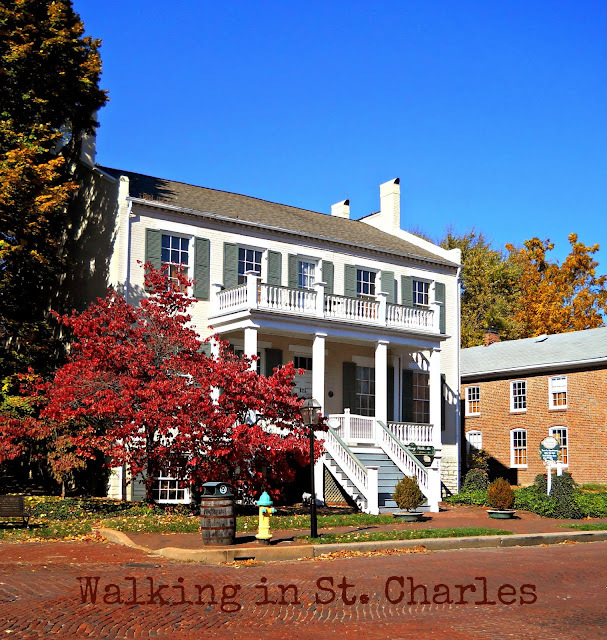 Nestled Northwest of St. Louis, St. Charles was originally founded by a French fur trader. The town was originally settled by French Canadians. 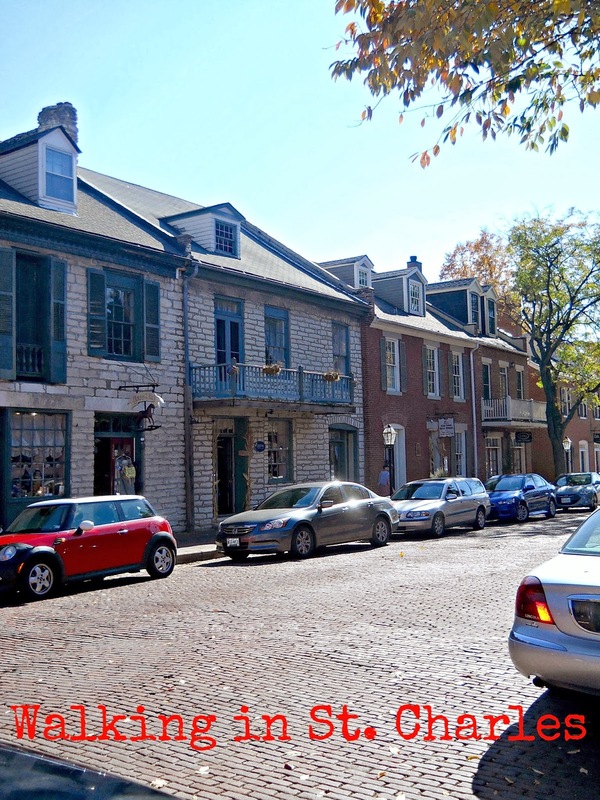 When my husband and I lived in the St. Louis area, we became mesmerized by this little bastion of French culture on the frontier. We would spend many a Sunday morning strolling along the peaceful streets before the crowds. 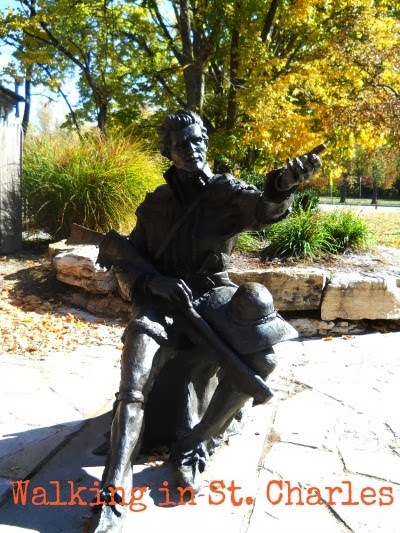 Daniel Boone, George Rogers Clarke and Meriwether Lewis all walked along the fascinating town's cobblestone streets. At one time, the town sat as the Capitol of Missouri. 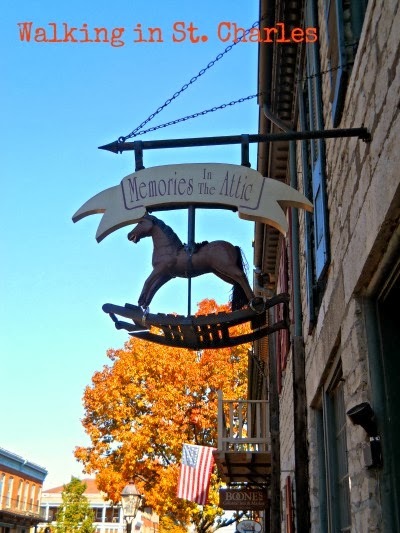 So much history lives in this rustic town situated on the Missouri River. Today, the historic buildings are full of unique small businesses, restaurants and bed and breakfasts. There is a wonderful spice shop, an olive oil store, a hot sauce shop, a winery, antique shops, art galleries and more. There is even a neat little conservatory bursting with vegetation to peek into! If you are interested in the history, you can visit the First Capitol Historic Site or read the historic markers along the way. The town has a little something for everyone but also lends itself to a very relaxing day trip. We miss St. Charles now that we live so far away! A visit to the town was such a pleasant respite when life got crazy! We would begin at one end of town, grab a coffee and just spend a day poking in and out of stores. On warmer days, we would indulge in ice cream in a nearby park. Delightful memories from a delightful town! This looks like such an amazing place to visit. Thank you for sharing your beautiful pictures and experience! Gretchen, it is so beautiful! We used to live in the area and would visit about once a month. I miss it!